A short preview of Adrian Harrison’s forthcoming film of the Eye 94 variable data cover being printed and bound at Pureprint. 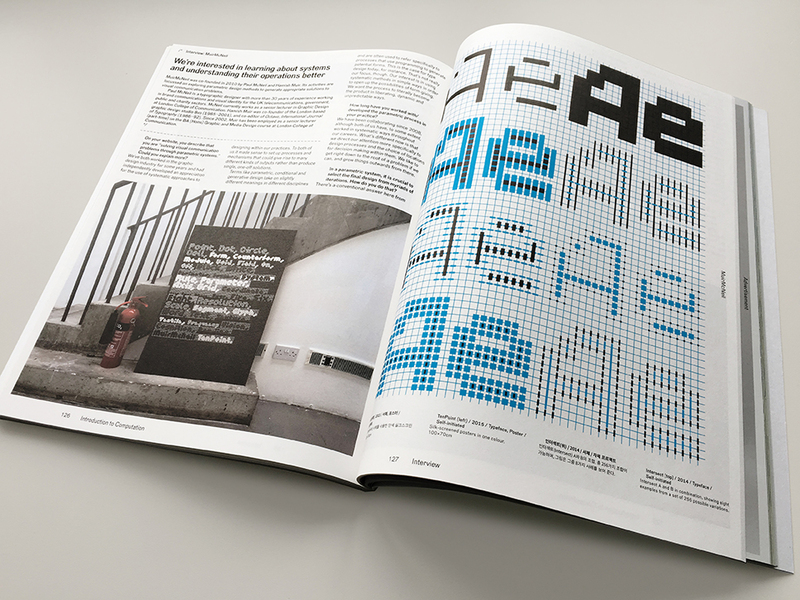 Using typefaces from our TwoPoint and TwoPlus type collections and working under commission from Simon Esterson, Eye’s Art Director, MuirMcNeil designed a system to generate 8000 unique covers for issue 94 of Eye Magazine, realised via variable data printing. Launched at Burley Fisher on August 17, the following week a selection of Eye 94 covers were featured in a window display at magCulture’s shop on St. John Street, Clerkenwell. Copies of Eye #94 are available from Eye Magazine’s website where they can be purchased individually, or as part of a new subscription. Our TwoPoint and Ten Point posters were recently included in ‘Design Research’, an exhibition at the London College of Communication, featuring a wide range of projects from over 60 lecturers, researchers and technical staff, from September to mid-October 2016, as part of the London Design Festival. The Summer 2016 issue of this quarterly journal discusses approaches to computation in contemporary design practice. GRAPHIC #37 also includes interviews with A2/SW/HK, Adrian Shaughnessy, Andrew LeClair, Andrew Blauvelt, Benedikt Groß, Catalogtree, Ellen Lupton, Erik van Blokland, Frederike Huygen, Hansje van Halem, Jonathan Puckey, Jürg Lehni, Ken Frederick, LUST and Rob Giampietro. 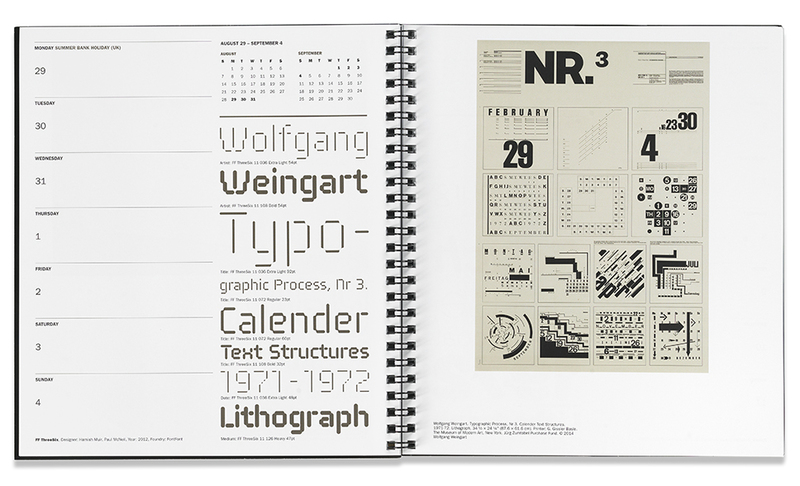 The Original Champions of Design agency have included MuirMcNeil’s FF ThreeSix in their design for the Museum of Modern Art 2016 desk calendar. For each week, a typeface selected by OCD is featured opposite typographic work from the Museum’s collection – in the case of ThreeSix, a cover from Wolfgang Weingart’s ‘Typographic Process’, volume 1971-2. 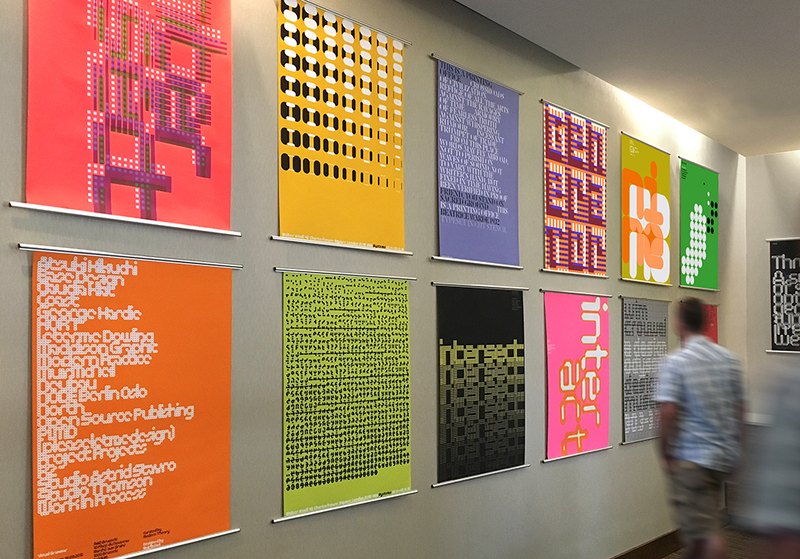 An exhibition of our typographic work took place during the annual TypeCon convention in Seattle WA from the 24th to 28th August 2016. 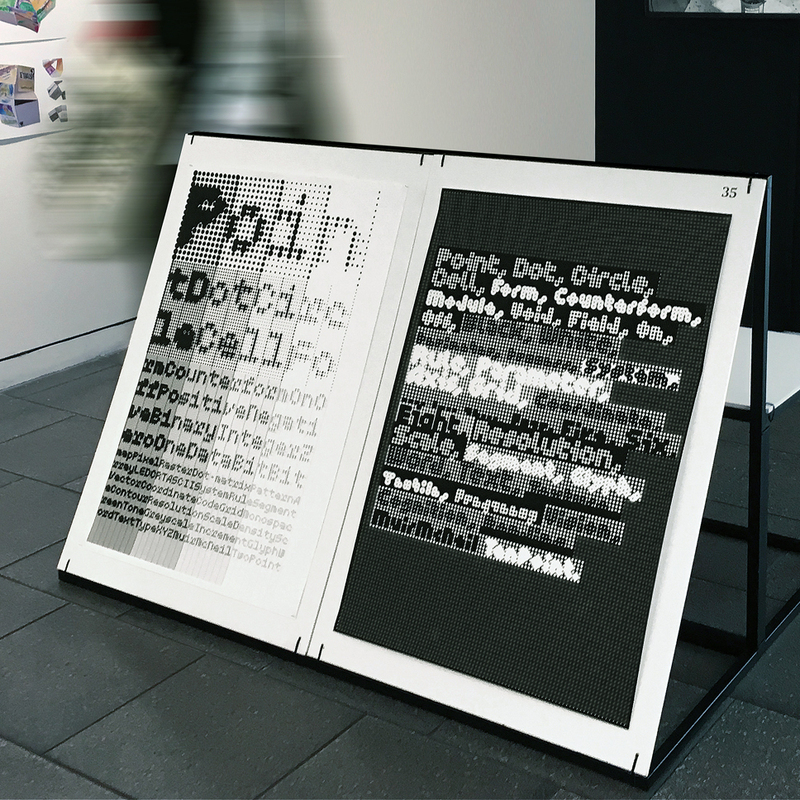 Thanks to the generous support of Monotype, most of the MuirMcNeil typeface systems were presented in the form of posters along with a few designs still in development. A limited edition of our poster for the Cut typeface was also available at the event. MuirMcNeil have designed a clock for TypeCon 2016 using 9 typefaces / 66 fonts from MuirMcNeil’s TwoPoint and TwoPlus type systems. In two precisely registered layers, fonts for time, date, and background panels are programmed to change randomly each minute. With layer colours reversing for am and pm, this results in a possible 8,712 overlay combinations. 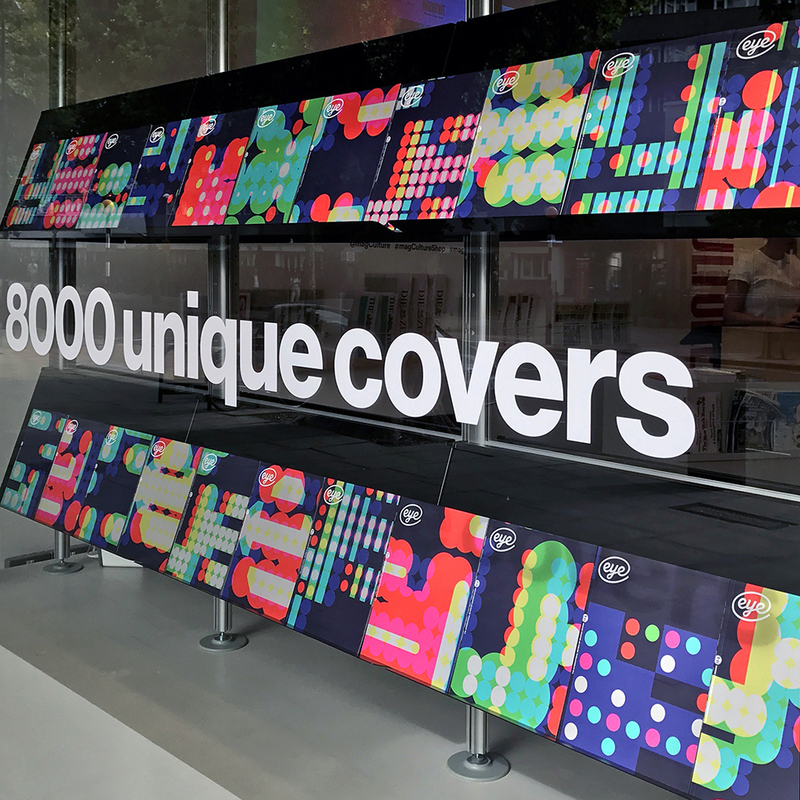 Our animation for TypeCon 2016 explores the potential of the modular construction of MuirMcNeil’s TwoPoint and TwoPlus type systems in formulating a layered information environment which evokes a glitched LCD display system. In this context, and to adapt the typographic approach used across the static elements of the identity to motion graphics, a set of parameters were defined to regulate the animation process: all movement between frames was restricted to the horizontal axis in integer multiples of the various dot pitches derived from a series of specific scale-related type sizes. The result is an animation, that is in effect ’frame by frame’ with no inbetweening, which extends the visual language of the identity, emphasising both the structural and textural attributes of the typographic system used throughout. 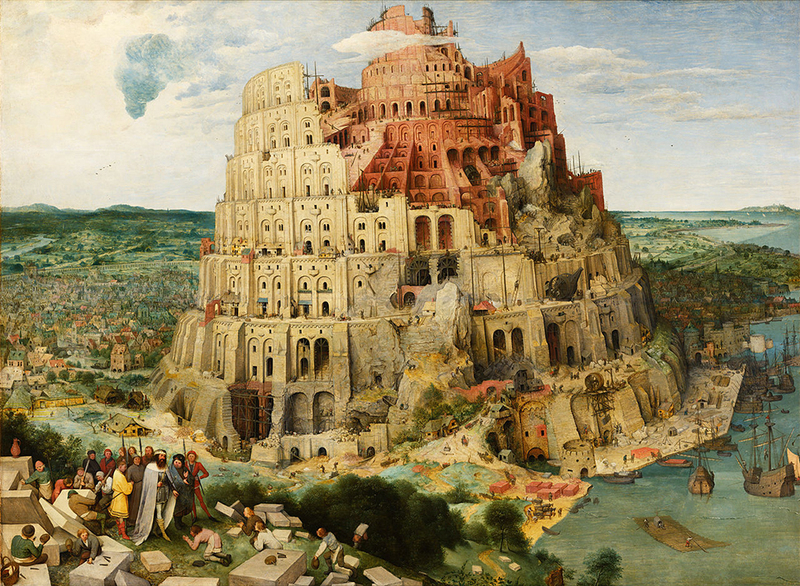 The history of the human endeavour to perfect language by means of design can be traced across many cultures, although most attempts to achieve it have been as quixotic as they are utopian. In his talk at TypeCon 2016, Paul McNeil will look at the contribution of writing and typography to this quest. Centred on a survey of writing systems that are the product of conscious agency rather than cultural evolution, the talk will cover the many ways in which text has been configured to enhance expression in human communication while continuously adapting to technological changes. It will go on to outline more profound and ambitious interventions, ranging from radical orthographic and linguistic reform programmes to the wild frontier of asemic writing, where the requirement for text to act as a vehicle for language is completely abandoned. The talk will conclude with an algorithmic framework for the formulation of text, illustrated by a number of speculative projects in the field by students from the MA Contemporary Typographic Media course at the London College of Communication. 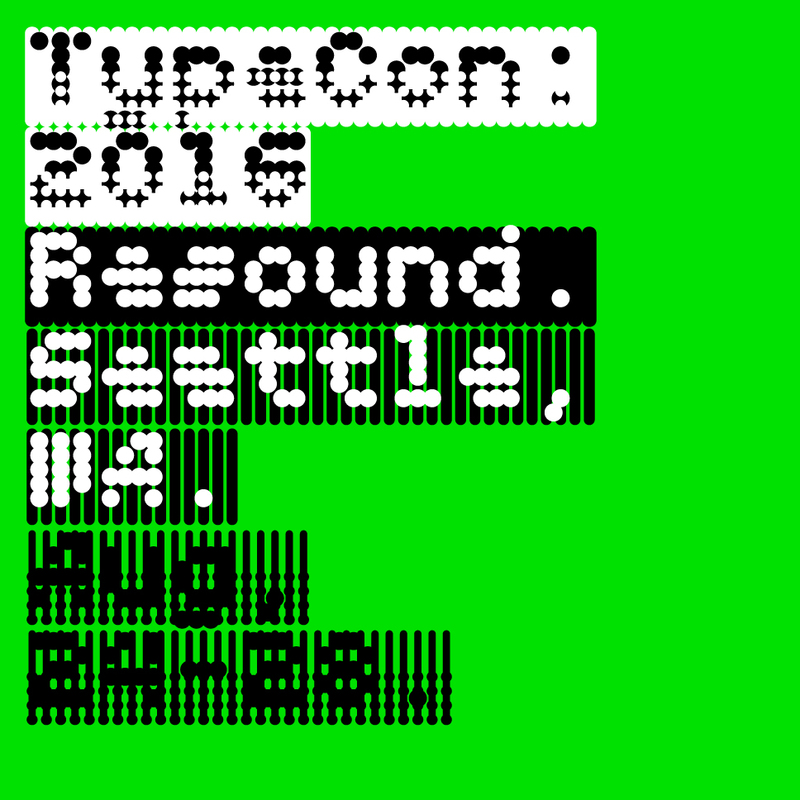 Some background on our identity design for TypeCon 2016.